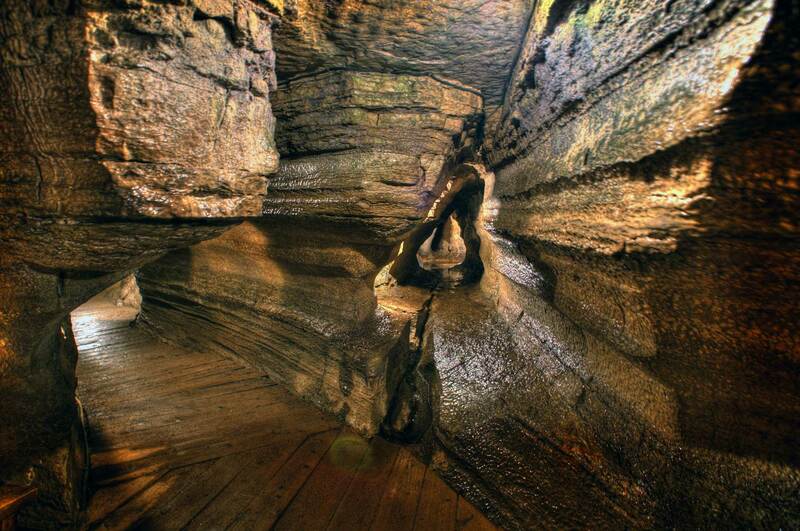 This workshop is a chance to explore your voice in the exciting, overtone-rich acoustic magic of the spectacular Bonnechere Caves in Eganville, Ontario. We meet at the caves at 10 am. The fee is $75, which includes a pizza lunch. 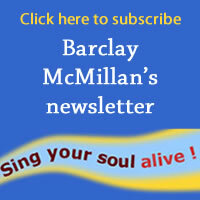 Please contact Barclay for dates of upcoming workshops. The following video was taken in the caves in October 2011. “What an absolutely awesome day!” and “One of those lifetime events I will never forget!” Those exclamations are typical of the mail received from some of the hardy souls who came to chant in the spectacular Bonnechere caves on a sunny Saturday. The caves are a pleasant one hour drive from Ottawa along Highway 17 West to Renfrew. From Renfrew take Highway #60 to Douglas. In Douglas watch for the blue and white Ontario tourism sign which tells you to turn left off the main street in Douglas. Highway #60 takes a sharp right onto the main street but still remains #60. When you see the farm supply store on your right, you turn left. You will also see the Top O’ Morning Cafe on your left, a great place for a snack or meal on the way to the caves or on your return trip.